This policy explains how we collect, manage, use and protect your personal information and sets out our commitment to you. It also provides simple ways for you to get in touch should you have any questions or would like to change anything related to how we collect, manage, use and protect your personal information. We are committed to ensuring that you are always in control of the personal information we collect, manage and use. The Rosie May Foundation, was founded in 2004 in response to overwhelming donations from the public following the brutal murder of 10-year-old Rosie May. Rosie May’s parents, founders of the charity, have turned their personal tragedy into hope for children in crisis by creating a living legacy to their beautiful daughter. Our vision is a world where every child has a right to family and a future. We work directly on the ground in Sri Lanka and Nepal to protect children in crisis, especially girls and prevent children being torn apart from their families by poverty and abandoned into orphanages. The Rosie May Foundation gives direct, practical support to vulnerable families to prevent abandonment of babies and young children. We focus on empowerment of girls through education, to realise their rights and give young women a choice in their own future. We aim to educate girls to become educated mothers and break the cycle of poverty. We believe that it is every child’s right to know the love of a family, to live without discrimination, have access to food and a quality education-rights that many vulnerable children in crisis situations are denied. Your privacy is important to us. As a charity we rely on our supporters, staff and many people who become involved with us to be able to deliver our vision of a world in which children no longer suffer institutional care. As data processors, we not only meet the legislative requirements as set out under the Data Protection Act 1998 (DPA); the Privacy and Electronic Communications Regulations (PECR) and the General Data Protection Regulation (GDPR) but we always seek to meet and where possible, exceed what people would reasonably expect of us with regard to their personal data. To request access to the information we hold about you (see ‘Your Rights’ section at the end of this document) please contact us using the email or postal details above. 6. What information we collect about you? Personal information is collected directly from you when you interact with the Rosie May Foundation, for example when you make a donation or purchase one of our future gifts or Christmas Cards; volunteer with us or participate in one of our own or third-party events; when you send an email or make an enquiry using any channel, including via social networks, post and phone; visit our websites; apply for a role with us, or when signing up to a campaign or for our email newsletter. Information may be collected in person, over the phone, through our websites, social media, on forms completed at an event or from something you’ve posted to us. The information we hold will typically include some of, or all of, your name, postal and email addresses, your phone number(s), and may include information like your date of birth and your bank account details if required, to enable you to support us financially for example through a regular direct debit. We may also ask you to provide specific information about your interests or lifestyle and where appropriate, for example if you take part in a challenge event, may collect details about your health or your passport information. We may also collect or receive information about you from other sources (including public sources). This is explained in the ‘How we might use your information’ section below. Sometimes, we may also link your personal record to family members, friends, colleagues or other acquaintances that we know are connected to you. We do this when you or the other party have indicated there is a connection as this helps us to when we correspond with you, or them, for example, if we hold an event and want to ensure we are inviting people who would enjoy meeting with each other. It also helps us to understand the effectiveness of our network-based fundraising approach. 7.1. How we might use your information? If you are a supporter who receives marketing and fundraising materials or makes donations we may use your information for administration purposes. 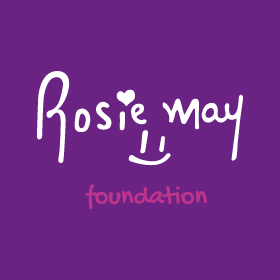 When you make a donation or other payment to the Rosie May Foundation we will use your payment and contact details, payment amount, date and time of payment to process that payment and take any follow-up administrative action needed, for example, sending a confirmation of your gift to you. If you choose to include Gift Aid with a donation to us, then we will always ask for your address and UK taxpayer status as this information is required by law. You can read more about how Gift Aid works here: https://www.gov.uk/claim-gift-aid. This information is needed for us to fulfil our obligations under tax and charity law. Information associated with Gift Aid declarations must be retained by us for a minimum of 7 years but may be retained longer. This information will be shared with HMRC for tax regulation purposes and may also be shared with the Fundraising Regulator and the Charity Commission in the event of an enquiry or investigation. If we make significant changes to policies which may affect you, we will use your contact details to inform you of the changes. If you participate in an event that we have, or someone else has, organised in aid of or on behalf of the Rosie May Foundation we may ask you to provide information to make sure we can manage the event safely and efficiently. We may also ask you for details of any accessibility need which you may have, so that we ensure our event is inclusive, in line with the provisions of the Equality Act 2010. We may use your information to invite you to consider new and different ways that you could support or become more involved with our work such as participating in different events, raising or giving funds or involving others and spreading the word. Marketing and fundraising materials that we might share with you include information about our activities and their impact, news, events and fundraising appeals, and other ways you can become involved with us. Where you have provided your postal address, we may send this information to you by post or where you have provided a phone number we may call you unless you have asked us not to. If you are registered with the Telephone Preference Service then we won’t call you unless you have specifically told us we can. We may also email you this information or send by SMS (text messaging) if you have agreed for us to do so. You can let us know at any time if you’d prefer to change how we share information with you or stop it altogether. Simply use the details we’ve provided in the ‘contacting us’ section to let us know your preferences or use the area we provide on our postal communications to let us know of the changes you would like us to make. If you have consented to receive emails from us, you can also use the unsubscribe link contained within the emails at any time. It is important to us that we use your donations wisely in order to have the greatest impact for children and families. In order to do so, we use research and analysis to inform the decisions we make around who we fundraise from and how. We seek to ensure our fundraising and marketing efforts are as efficient and effective as possible at inspiring support and engaging existing and new supporters about our work. We will retain your personal information for no longer than we believe is necessary for the purposes for which it is processed (in accordance with our internal policies including our data retention policy). If you ask us not to contact you, we will keep some basic information about you on a suppression list in order to avoid sending you unwanted materials in the future. If you provide explicit consent for us to contact you using email or SMS (text messaging), we will hold and use this consent for two years before reviewing when and how you are responding to our activities using these channels. We will consider your consent revoked if you have not responded to our email or SMS (text messaging) communications after three years. 7.9. When might we add information to your record that you may not have given to us directly? We may also add information or update the records we hold of supporters with information collected from publicly available sources. This may include address related information, information from death registers, age or the information mentioned in the section above ‘Targeting our communications and researching our supporters’. The purpose for doing this is to ensure our communications and activities with our supporters are as relevant as possible. We take great care in growing our community of supporters and the steps we take to enhance the information we hold plays a vital role in building a community of like-minded supporters who are passionate about our vision and in making our fundraising as effective as possible. If you would like to understand the activities we undertake in more detail, change your preferences or request us to use your information differently or not at all, please contact us using the methods set out in the ‘Contacting us’ section above. As with all charities, we ensure that our activities comply with the law. This means that we may need to share or use your personal information if we are required to do so by law, for example; in response to a warrant or court order, and we may use information from other sources for the purposes of fraud prevention, for example to comply with money laundering regulations, or to protect people’s rights, property or safety. Your CV, covering letter, supporting information and any other documents submitted as part of your application for any position with the Rosie May Foundation will be used during the recruitment process to short-list suitable candidates who will be invited to proceed to interview stage, and to select the final candidate that the role will be offered to. These documents will also be used to assess suitability for volunteer positions. During the recruitment process, we may perform some checks on your identity, your right to work in the UK, your eligibility to work with vulnerable people and children. We will also take up employment references. If your application is successful, this information will then form part of your personnel file. We delete the personal information of unsuccessful applications six months after the application process ends in case there are follow-up queries about the process unless a candidate requests that we keep their details for longer. Statistical information like ethnicity, sexuality and disability is kept to ensure that our recruitment processes are inclusive and not discriminatory, but this is completely anonymised. We commit to make all reasonable efforts to keep your details secure. We will not share your details with any third party. Certain third party organisations collect information on our behalf as well as for their own use. We may receive your personal details from other organisations for our marketing purposes where you have consented for this information to be shared with us for those purposes, for example, Just Giving. These organisations have their own data protection and privacy policies and we encourage you to make yourself aware of these before using them. Countries outside the European Economic Area have differing approaches to data privacy laws and the enforcement of these may not be as robust as it is within Europe’s borders. We take great care to manage your personal data within the EEA where possible. In any cases where a supplier is outside of the EEA, we ensure strict data agreements and contracts are in place to ensure any data passed outside the EEA is treated in line with the EEA regulations. The Rosie May Foundation takes the care of your information seriously and protects your personal information in a range of ways including secure servers, firewalls and SSL encryption or a comparable standard. We follow payment card industry (PCI) security compliance requirements when processing credit card payments. We operate a policy of restricted, password controlled, access to any of your information which is stored on our systems and is only accessible to employed staff who are bound by our policies and have been issued a password. While we do not actively collect information from children (under 18s) in the UK, we appreciate that our supporters are of all ages. Where appropriate, we will always ask for consent from a parent or guardian to collect information about children. All Rosie May Foundation events will have clear rules on whether or not children can take part, and the collection of information will be managed in accordance with each individual event, with appropriate safeguards in place. You can request copies of all the information we hold about you using a Subject Access Request. You have the right to ask for a copy of all the information related to you that we are processing. You can request this using the ‘Contacting us’ section above. You can ask for a copy of any personal information that you have provided to us in the past. We will provide it in a clear and easy to follow format of your choice. If you believe the information we hold about you is incorrect, out of date or if there is no longer justification for us to hold it, you can ask for it to be updated, removed or blocked from our use by using any of the methods outlined in the ‘Contacting us’ section. We will never send you marketing by email or SMS (text messaging) without your consent, and you can withdraw your consent at any time. We collect your consent for such communications when you sign up to receiving our emails or newsletter; opt-in to such communications by using our forms (e.g. a donation form or online form) or when you provide it in person. If you have provided us with your postal or telephone contact details, for example, when making a donation by post, we will carry out an assessment of whether it would be fair and reasonable of us to use those details to send information about our work, fundraising or events and other information to you without your explicit consent (i.e. it is in the interests of our aims as a charity and will not cause undue prejudice to you). This is called a “legitimate interests assessment”. You can however opt out of or change the amount or type of marketing and fundraising communications we send you at any time by letting us know your communication preferences. We seek to make this easy for you to do by asking you let us know about any preferences you have when we communicate with you and you can also do this by using one of the methods outlined in the ‘Contacting us’ section to do this. We will ensure we have a legal basis to use your personal information for the other purposes mentioned in this policy (usually with your consent, further to a legitimate interest’s assessment, or because the use of your data is necessary to comply with a legal obligation). You can find more about your data protection rights on the Information Commissioners Office (ICO) website HERE. This policy was last updated in May 2018 and is reviewed annually. Alterations to the policy may be made at any point to ensure it accurately reflects our commitment to you and our compliance with appropriate legislation. Please check our website from time to time for the latest version of this policy.